You are here: Home / Mobile Bonuses / Parlay Bonuses / Soccer Betting Promotions / Sportsbook Bonuses / Sportsbook Promotions / Collect £5 with BetVictor’s First Goal Scorer Bonus for West Ham vs Man United Match! 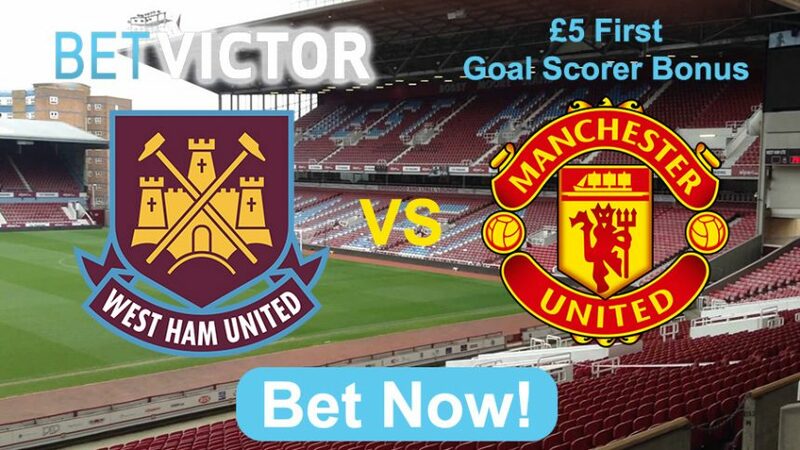 West Ham is gearing up to play their final game at Boleyn Ground against Manchester United, and BetVictor is offering £5 with its First Goal Scorer Bonus for the special occasion! Make a pre-match or in-play bet on the First Goal Scorer market on West Ham vs Man United to receive a £5 bonus on another First Goal Scorer market on any Premier League event taking place on Wednesday, May 11. West Ham are ending their 112-year association with Boleyn Ground, as they will move to the Olympic Stadium from the start of next season. 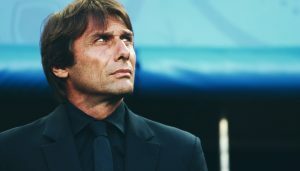 That’s why the game against the Red Devils is a special one, since will be their last one playing on the fearsome ground. Slaven Bilic’s men are 7th on the table with 59 points, while Louis van Gaal’s men are four points above them in 5th position. The Hammers need all the points they can get from the next two games, if they are to reach the qualifying spots for Europe. Southampton are in their way (6th position), so West Ham will be looking to do everything they can to make collect the three points against Man United. 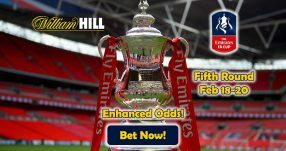 Get £5 with BetVictor’s First Goal Scorer Bonus! West Ham are underdogs on their home ground 3.00 (2/1), while Man United are favourites to win 2.45 (29/20), per online sportsbook BetVictor. However, Boleyn Ground is known for its fearsome atmosphere, so the underdogs could actually win this one. A tie between the two stands at 3.5 (5/2), which is also a likely possibility. Online sportsbook BetVictor offers the First Goal Scorer Bonus regularly, so you can always come back for more special football treats. The Premier League, like all major European leagues, are coming to an end with only a few more games remaining. But not to worry, as EURO 2016 is set to kick off on June 10, so there’ll be plenty of betting opportunities. 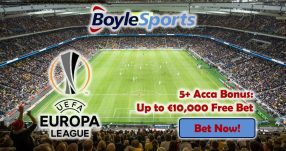 Check out Betting Herald’s EURO 2016 Betting Guide – it features the best betting odds with online sportsbooks and other useful info about the European Championship. 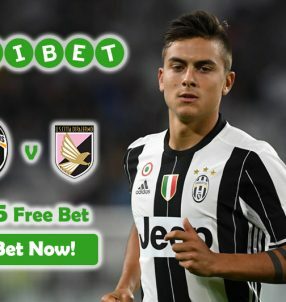 Get your £5 Bet with BetVictor’s First Goal Scorer Bonus! Pep Guardiola’s Bayern Become Bundesliga Champions for the Fourth Consecutive Time!